In this course you paint the threads and yarns you will use later for hand and machine embroidery. 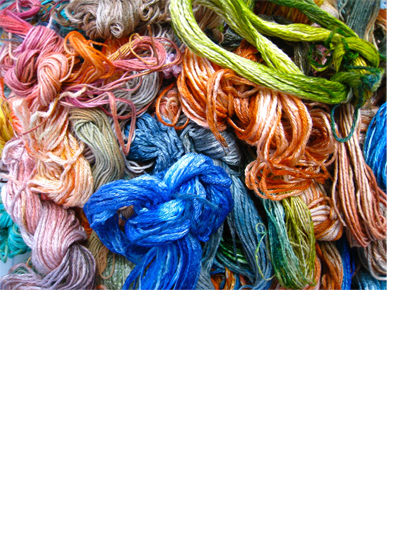 Threads end up with infinite colour variations, and give all your work both subtle and vibrant design possibilities. Requires water and an easy to clean floor, with space to spread out drying threads. All levels.